We called it: The Mass: We Pray website that purported to offer a new videogame system that let people go to church every day without leaving their house is in fact a hoax. 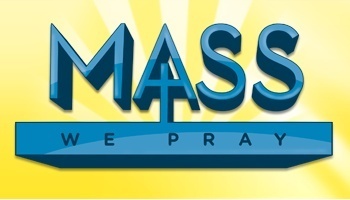 Earlier this week we stumbled upon a website advertising a new game system called Mass: We Pray that promised to let truly devout gamers take part in worship-friendly virtual activities like Lighting Prayer Candles, Transubstantiation and Genuflecting. As elaborate and convincing as it was, it was also very weird and most people were fairly certain it was a hoax; some particularly astute observers (ahem) went further and predicted that it would turn out to be another stealth promotion for Dante's Inferno. And you know what? I was right! The company behind Mass: We Pray said it would begin taking preorders on the system today but clicking the preorder button takes you instead to an all-new trailer for Dante's Inferno, EA's upcoming epic journey into Hell. Actually, it's an age gate for the trailer which takes a little bit of the zing out of the experience, but the net result is the same: Another look at EA's interpretation of the general unpleasantness that is eternal damnation. The newest video focuses on the Sixth Circle of Hell, reserved for heretics. "He who betrays the beliefs of the church blackens his soul with the sin of Heresy," the site says. "A Mass not celebrated by ordained priest or on consecrated soil is naught but false ritual condemned by clergy. Thou hast befouled thine eyes with the filth of profane works and betrayed all things sacred. For thy punishment, thou shalt be damned to burn in flaming tombs and hang from enflamed crossed. And an eternity of infernal fire will not cleanse thee." Wow. So much for going to church every day, eh? Dante's Inferno is scheduled for release on February 9, 2010.